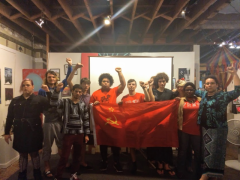 Tallahassee celebrates 101st anniversary of Russian Revolution | Fight Back! 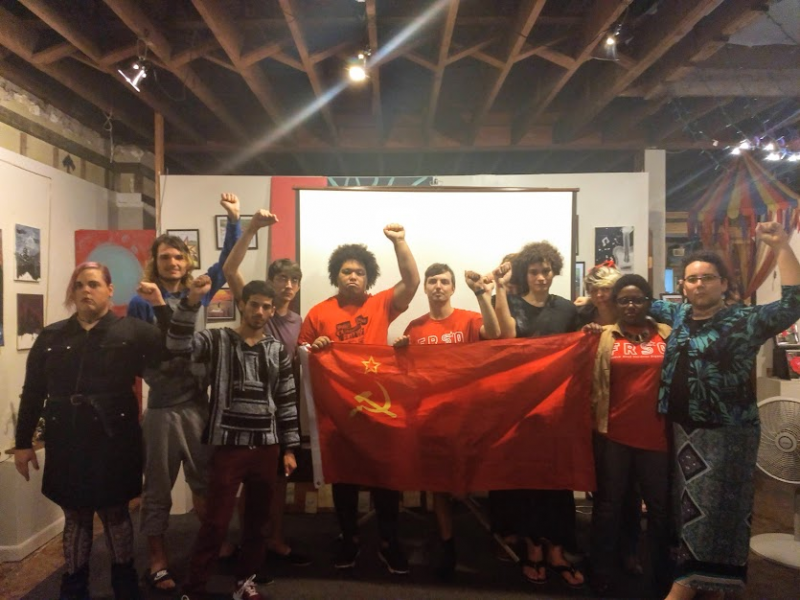 Tallahassee, FL - On November 7, students, activists and community members from around the Tallahassee area gathered at The Plant Arts Center to celebrate the 101st anniversary of the 1917 October Revolution in Russia. The event was organized by the Freedom Road Socialist Organization (FRSO). FRSO member Regina Joseph introduced the event and then called on Zachary Schultz to give a short speech about the history of the revolution and its significance. “Under worker power, the Soviet Union used its wealth to help people instead of filling the pockets of the small minority. That’s what we’re trying to do here in the United States. To overthrow the rule of the imperialists on Wall Sreet, and actually establish true freedom, democracy and equality for the people here,” Schultz said. The event included a showing of the 1981 film Reds, about American socialist journalist John Reed, who wrote about the October Revolution based on his firsthand experience in Russia in 1917. At the end of the event, the group was led in singing the socialist song The Internationale.